Two are always better than one and this is what inspired us to create these beautiful Gift Combos for special celebrations. 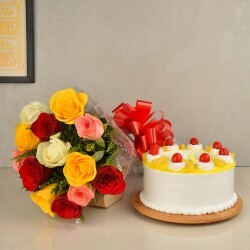 Flowers, Cakes, Chocolates, Mugs, Cushions and so many other things are put together in the most thoughtful way to create the best Gift Combos for every occasion in life. Products in this category have been rated 4.6 out of 5 based on 122 reviews.